The Windows Store, a Metro style app and Windows software marketplace which will truly come into its own with the launch of Windows 8, will soon be expanded in terms of number of country-specific developer accounts, and app submission markets. The updated Windows Store will accept submissions from developers from 33 more countries than just the five it started with, when the Windows 8 Consumer Preview was launched. Developers and users can experience all these expansions, when the new preview version of Windows Store is released, possibly with Windows 8 Beta. Microsoft has also announced 21 new country-specific Windows Store portals or app catalogues, bringing the total number up to 26 (France, Germany, India, Japan, United States, and China already had their own). Developers will now be able to submit applications in 109 different languages, however, for certification, only 12 languages are at present accepted. Check out the full list of developer account and app submission markets, here. Windows Store will launch along with Windows 8 sometime later this year, and in an effort to beef up its infrastructure ahead of the these expansions, Microsoft has announced it has stopped accepting Windows Store submissions for the Consumer Preview edition. 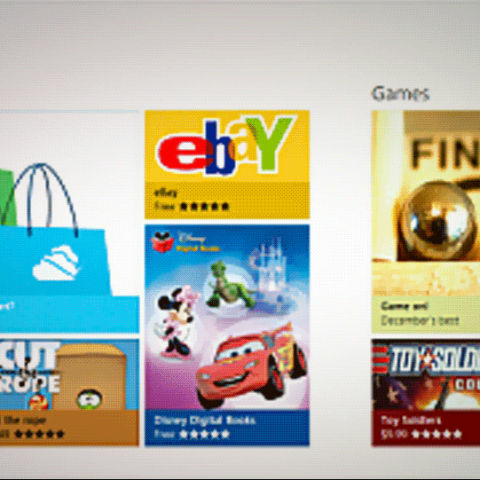 Microsoft, however, did say that the Windows Store will continue to offer all the existing Consumer Preview apps and these apps will of course continue to run on the Consumer Preview build. This will help support developers in the transition to the next pre-release version of the platform. The Redmond giant also recently detailed the versions of Windows 8 that will be available, specifically, Windows 8, Windows 8 Pro, and Windows RT (for ARM). Read our previous coverage for more details about what each version will get. I want to develop apps of windows 8. Install developer preview for windows. Is it better to update the windows every-time or should stay with the stable version after Service Update..